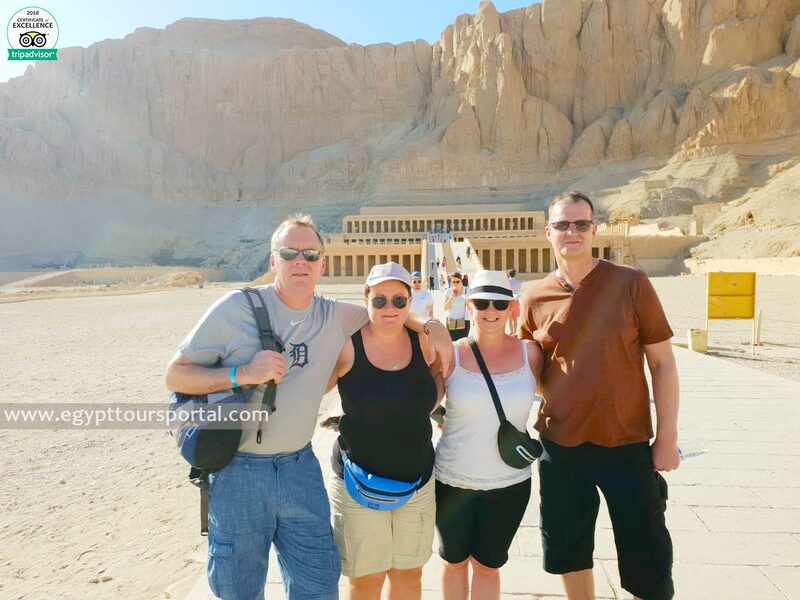 Enjoy a private Luxor day tour to east and west banks to visit Luxor tourist attractions including Luxor temple, Karnak temple, Valley of the Kings, Colossi of Memnon and Queen Hatshepsut temple then we drive you back to your hotel or Nile cruise. Pick up service from your hotel in Luxor and return. Private Egyptologist guide during your tours. Finally, we drive you back to your hotel / Nile cruise. Note: If you prefer to spend more than a luxury day tour in the land of pharaohs, you can visit our Egypt travel packages and choose your dream vacation. I went on this trip with two of my friends and it was far more than I had expected. On our first day in Luxor we traveled around the city with our tour guide, Mohammed Hasen. He was so much fun to be around in addition to the great driver we had. He explained to us in the car what we were about to see and the history of it all. He also gave us tips on what to do or say or even how to bargain. This was an amazing tour at such at an amazing price! I definitely recommend this to everyone! My wife has previously visited the sites in Luxor but this was a first for me. The arrangements we’re great. Private car for just the 2 of us with our own guide. Our guide was freindly, extremely knowledgeable, and a pleasure to spend the day with. He took care of all arrangements and answered every question we had even when we asked things he had just told us. It’s a long day and it’s many hours in traffic which us exciting if you are not used to it. I would definatly recommend this tour.